I think this is one of my favorite Christmas ideas found online. The credit goes to Hello Homebody who apparently found in in an American Girl magazine a while back. But either way, great and simple idea. Not only that but it is relatively inexpensive to create and give away as gifts. Line a baking sheet with the parchment paper. Spray the inside of each cookie cutter with non-stick cooking spray. Lay cookie cutters out on parchment. 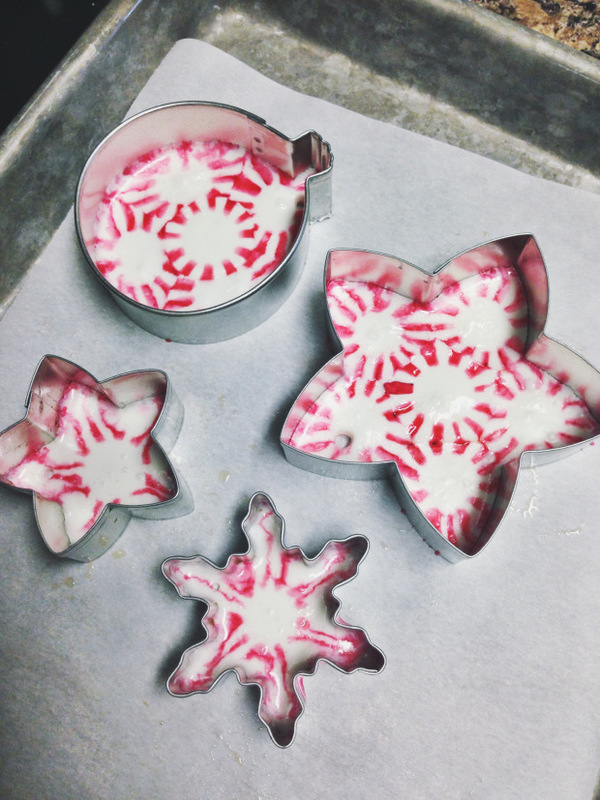 Fill with a layer of peppermint. Bake for 3-9 minutes. Keep an eye on them. Remove from oven when candies have melted together. Lightly spray a toothpick with non-stick cooking spray and then make a whole in each for hanging. Let candy sit inside cutters until the candy re-hardens. 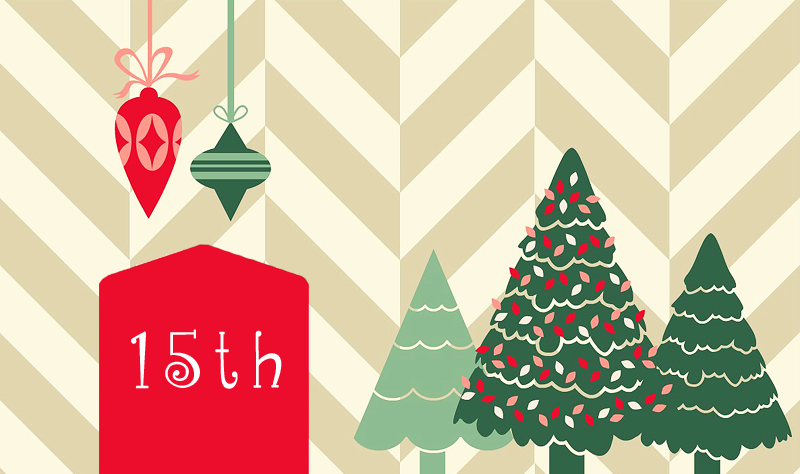 Once hardened, carefully stretch the cookie cutter on sides to pull it away from candy to get your ornament to pop out. 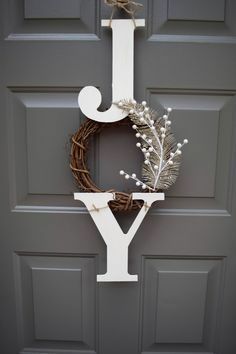 You can then put ribbon or twine through the holes. As you can see above there is a little bit of an art to it. 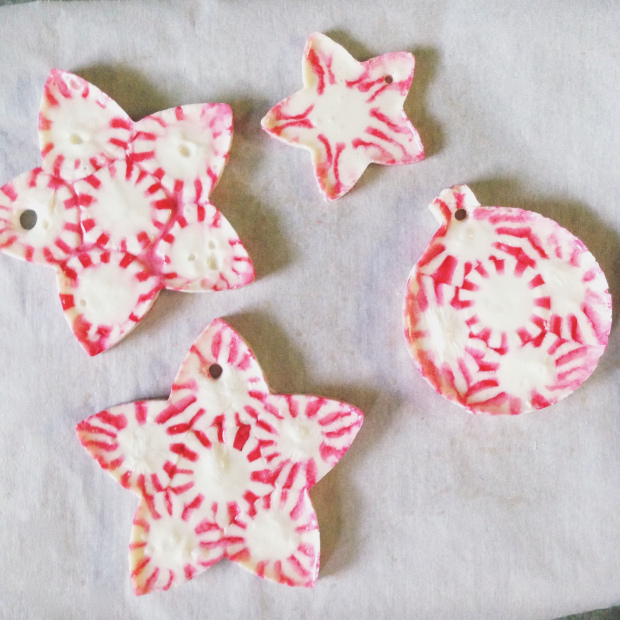 The round ornament had a gap in the middle so a peppermint was put over it. 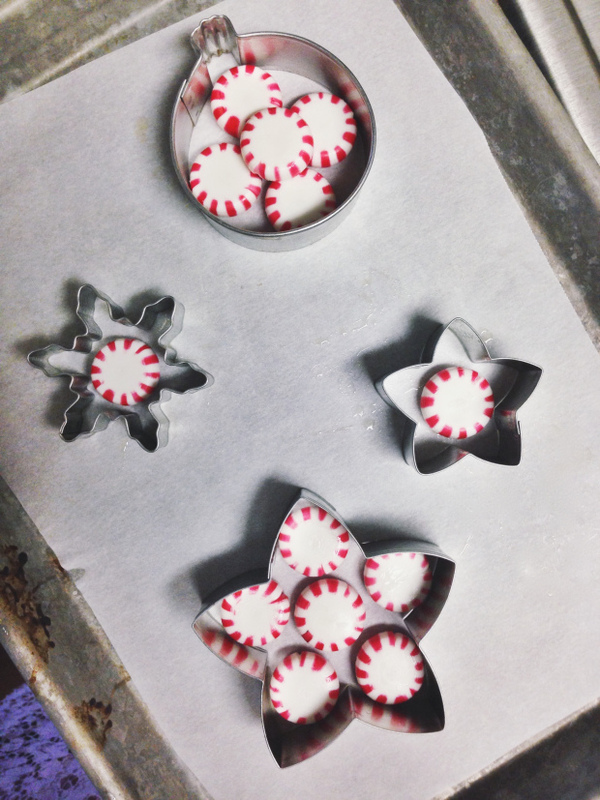 But the small metal cookie cutters are only taking one peppermint. You have to judge for yourself and if one comes out wrong, eat it and make another. They look pretty fantastic when they come out. You can wrap them individually in treat bags to give away or top cupcakes with little versions. Very fun. This is a really neat idea. I definitely want to try it. I like peppermint but the rest of my family doesn't. I'd probably give them away mostly too. Yeah, it is a take it or leave it kind of thing. Rarely a middle ground. WOW, what a clever idea!! I may try this once our kitchen reno is done :D Thanks for this! Kitchen reno during the holidays. Crazy! I hope you kitchen is back to normal soon. No problem. I love it.